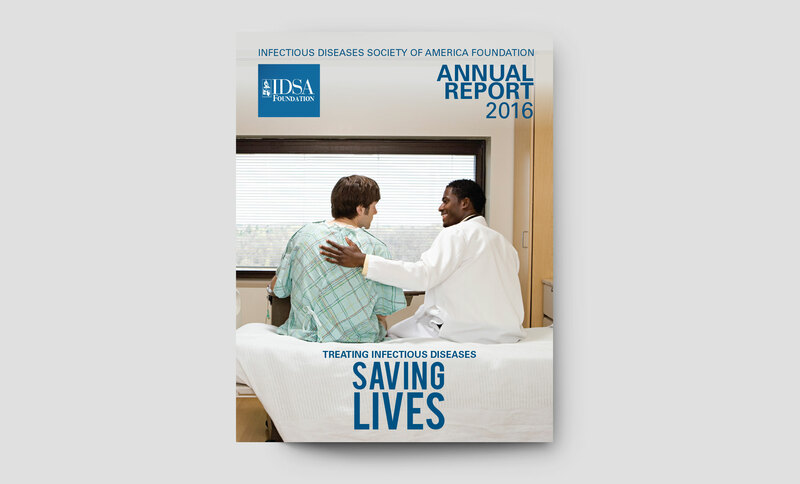 The IDSA Foundation is the nation’s leading non-profit organization committed to reducing the burdens of infectious diseases. 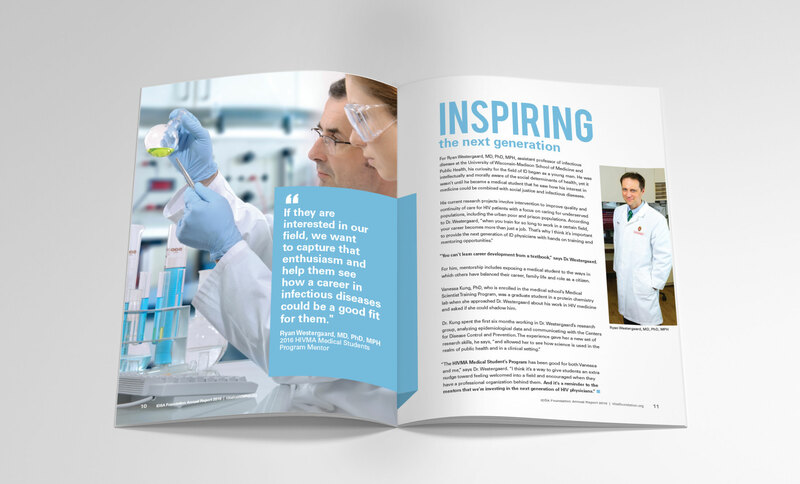 Created in 2001, the Foundation is the charitable arm of the Infectious Diseases Society of America. 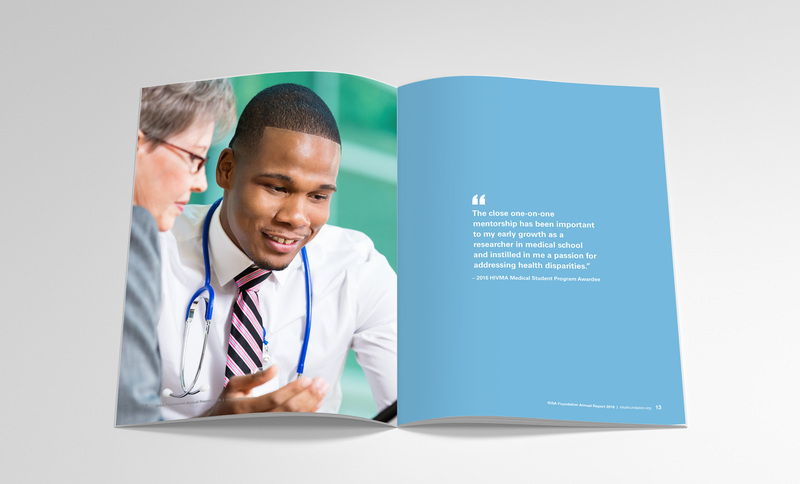 IDSA Foundation engaged Seaberry to layout and design the 2016 IDSA Foundation annual report. 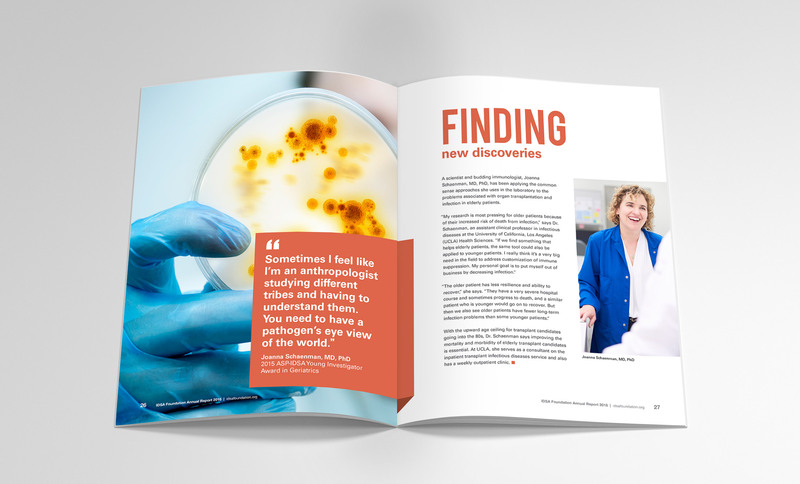 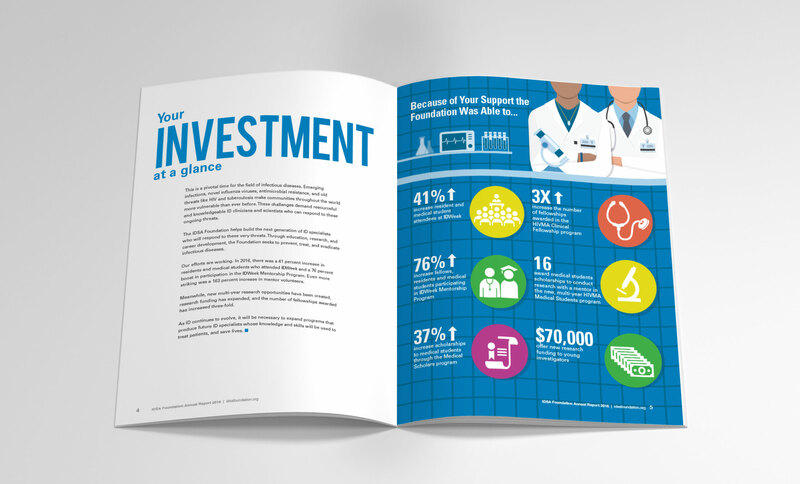 The interior page design draws attention to foundation research and mentorship programs, at the core of of its efforts to encourage early career doctors to explore infectious diseases.